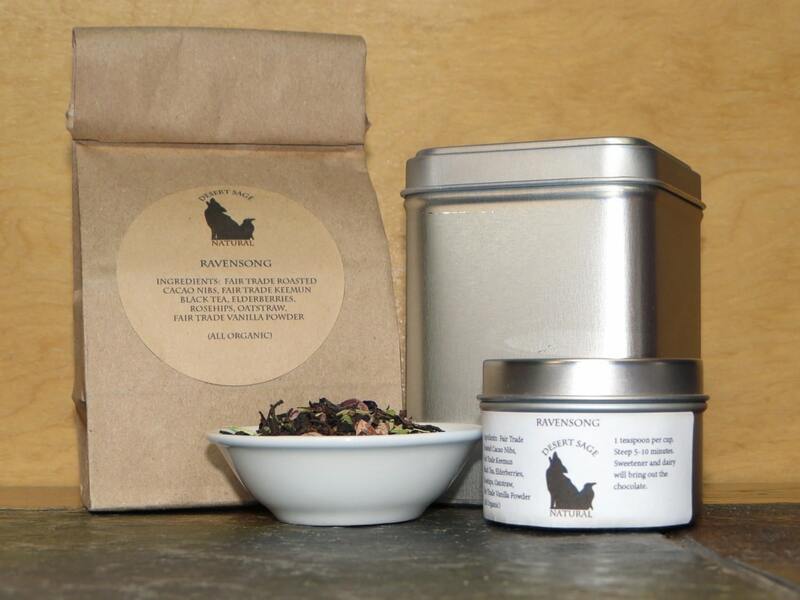 ‘Ravensong’ is one of a pair of teas that were the result of the loving exhortations of a couple of friends of mine. It was pointed out that I spend a lot of time and energy taking care of other people, and helping them as much as I can, but…. … perhaps I needed to start giving myself at least a modicum of the same care and concern. Taking a step back and thinking about it, I came to the conclusion it was more than time I put my knowledge and skills to work and create a tea specifically tuned for my own needs and tastes. I started with a black tea, and then created a companion decaffeinated version, for the times that I should be avoiding caffeine, or wanted to eschew cream and sugar. 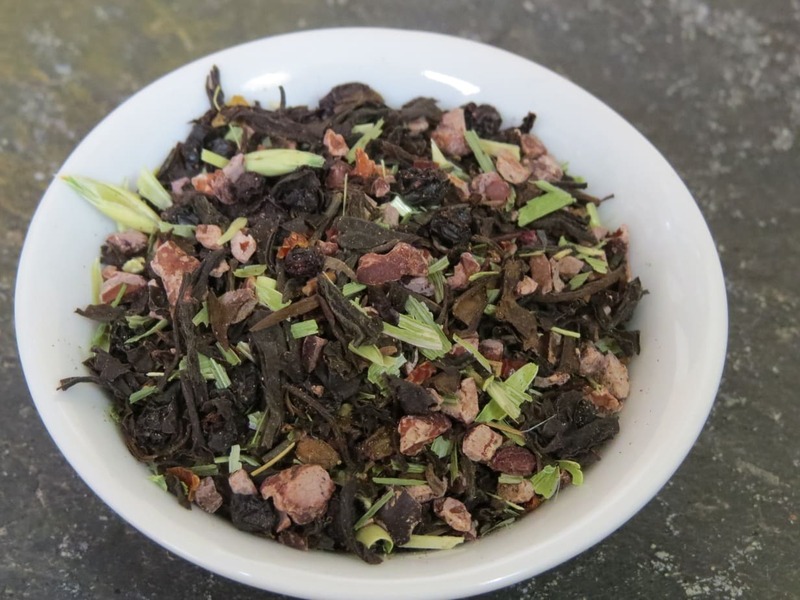 I knew it needed to begin with chocolate, and I added rosehips and elderberries because they have wonderful nutritional benefit for my particular set of issues, as well as being some of my favorite ingredients just for taste. Bit of oatstraw, hint of vanilla, and the lighter smoky tea, and I was quite satisfied. This entry was posted in Black Tea, Chocolate, Fruit, Simply Tasty Teas and tagged Desert Sage Natural, Fair Trade Black Tea, Organic Black Tea, Organic Chocolate Tea, Organic Dried Elderberries, Organic Fair Trade Cacao Nibs, Organic Fair Trade Vanilla, Organic Fruit Tea, Organic Keemun Black Tea, Organic Keemun Tea, Organic Oatstraw, Organic Rosehips by DesertSage. Bookmark the permalink.